On July 28th, 2011, the U.S. Consumer Product Safety Commission and Health Canada, in cooperation with Fisher-Price, announced a voluntary recall of their Little People Builders’ Load ‘n Go Wagon model number P8977 due to a laceration hazard. This recall involves the Fisher Price’s Little People Builders’ Load ‘n Go Wagon model number P8977. 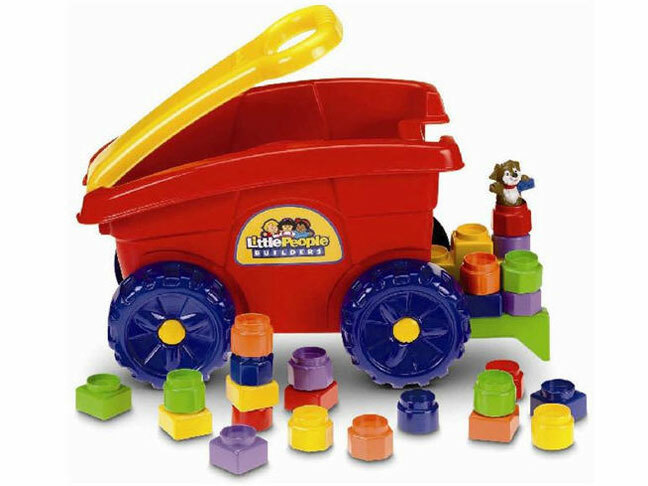 The product includes a red wagon with a yellow handle, multi-colored plastic blocks and a dog figure. The model number is located on the bottom of the wagon. “Little People Builders” is found on a label on the side of the wagon and “Fisher Price” is embossed on the handle. Wagons with green handles are not included in this recall.The back of the wagon’s plastic handle has molded-in reinforcement. This design adds stiffness and facilitates children gripping the handle. The handle poses a laceration hazard if a child falls on it. About 208,000 of these products were sold in the United States and about 2,800 were sold in Canada at mass merchandise retail stores nationwide from June 2009 through July 2011 for about $25. As of July 28th, 20ll, the CPSC and Fisher-Price are aware of seven reports of injuries, including five reports of children requiring surgical glue or stitches. Consumers should immediately take the recalled wagons away from children and contact Fisher-Price for instructions on how to obtain a free repair kit. It is illegal to resell or attempt to resell a recalled consumer product. For additional information, contact Fisher-Price at (800) 432-5437 between 9 a.m. and 6 p.m. ET Monday through Friday or visit the firm’s website. Health Canada’s press release is available here.